Here is the eagerly anticipated follow-up to the award-winning anthology Firebirds Firebirds Rising takes readers from deep space to Faerie to just around the corner. It is full of magic, humor, adventure, and?best of all?the unexpected. The one thing readers can count on is marvelous writing. Firebirds Rising proves once again that Firebird is a gathering place for writers and readers of speculative fiction from teenage to adult, from the United States to Europe, Asia, and beyond. Over the past twenty-four years, Nina Kiriki Hoffman has sold novels, juvenile and media tie-in books, short story collections, and more than two hundred short stories. Her works have been finalists for the Nebula, World Fantasy, Mythopoeic, Sturgeon, and Endeavour awards. Her first novel, "The Thread That Binds the Bones," won a Stoker Award. Nina's YA novel "Spirits that Walk in Shadow" and her science fiction novel "Catalyst" were published in 2006. Her fantasy novel "Fall of Light" will be published by Ace Books in May. Alison Goodman was born in Australia and after a bit of wandering, now lives in her beloved hometown, Melbourne. She was the 1999 D.J. O Hearn Memorial Fellow at Melbourne University, holds a master of arts, and teaches creative writing at the postgraduate level. Ellen Klages was born a in Columbus, Ohio. She graduated from the University of Michigan with a degree in Philosophy. It teaches you to ask questions and think logically, which are useful skills for just about any job. she says. But when I looked in the Want Ads under P, no philosophers. I ve been a pinball mechanic, a photographer, and done paste-up for a printer. I ve lived in San Francisco most of my adult life. The city wears its past in layers, glimpses of other eras visible on every street. I love to look through old newspapers and photos, trying to piece together its stories. I was at the Exploratorium, a hands-on science museum, working as proofreader, when they were looking for a science writer to do a children s science activity book. No science background, but I convinced my boss that in order to translate from a PhD physicist, I had to ask lots of questions, just like a curious kid. I got the job. My desk was covered with baking soda, Elmer s glue, balloons, soap bubbles, and dozens of other common objects that became experiments, and the office echoed with the Science-at-Home team saying, Wow! Look at this! My co-writer, Pat Murphy, a science-fiction author, encouraged me to write stories of my own. I ve now sold more than a dozen. 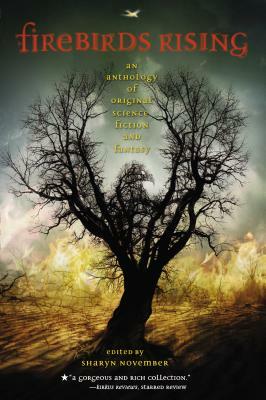 Basement Magic, a fairy tale set at the beginning of the Space Age, won the Nebula Award in 2005.The Green Glass Sea is not science fiction, but it is fiction about science. And history and curiosity. Ellen Klages lives in San Francisco. The Green Glass Sea is her first novel. Kelly Link lives in Northampton, Massachusetts, where she and her husband, Gavin J. Grant, run Small Beer Press and publish the zine "Lady Churchill s Rosebud Wristlet" (www.lcrw.net). Alan Dean Foster is the "New York Times" bestselling author of dozens of science fiction and fantasy novels, including most recently, "Jed the Dead.""